MG owner changes its name | What Car? The owner of MG has changed its name. 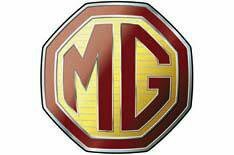 Since being taken over by Nanjing Automobile Corporation in 2005, MG had been operating as NAC MG UK Ltd, but will now be called MG Motor UK Ltd.
'It is anticipated that the new name will help strengthen the companys reputation and re-emergence in the market by emphasising the already well known MG brand,' said a statement. MG recently relaunched the MG TF, with a limited-run model called the MG TF LE500.